This project started with a grant application and a dream. 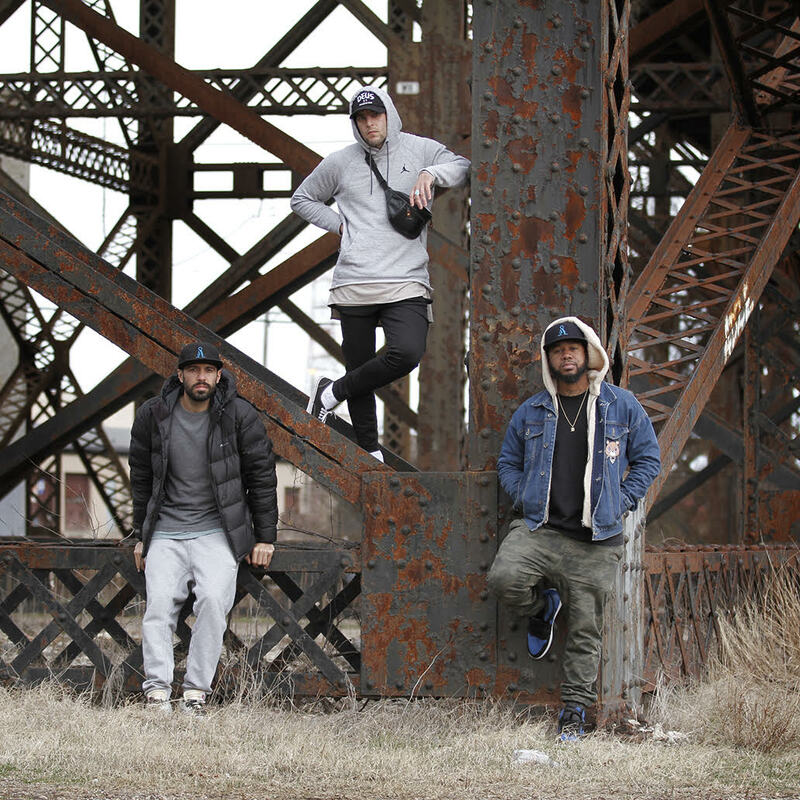 A 2,057 mile road trip resulted in outfitting 450 homeless with sneakers. It was evident after our first meeting this partnership could be something incredible because of our common passions – sneakers and supporting our communities. The Finish Line Youth Foundation accepted Hav A Sole’s original grant request of $15,000. Due to the incredible partnership and proposed plans, the Foundation doubled Hav A Sole’s ask donating a total of $30,000 to complete a physical structure to process donated sneakers and for storage. Hav A Sole will also build a barcode scanning system to take efficient and accurate inventory of sneakers. Satisfying this request will streamline the donation process allowing the organization to donate more frequently to reach their goal of doubling their impact in 2018. 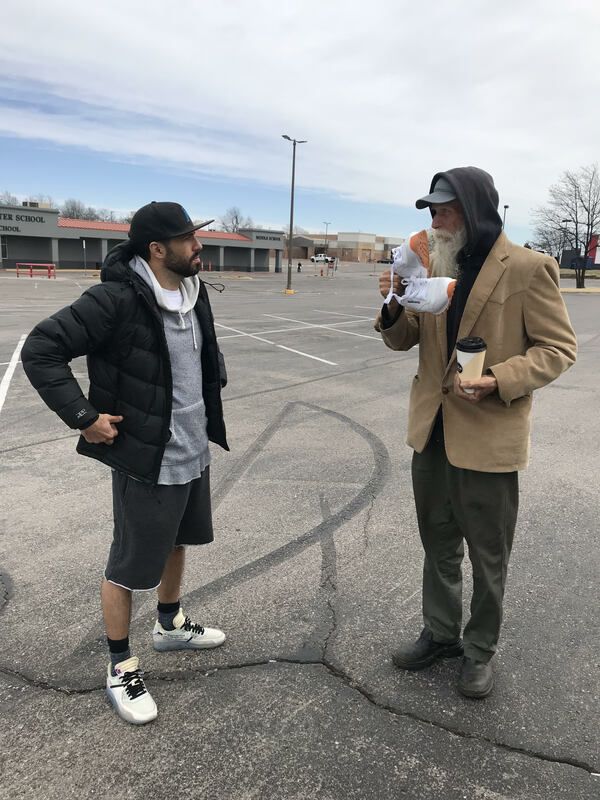 Hav A Sole began in Los Angeles, stopped at Finish Line stores in Albuquerque, Oklahoma City, St. Louis and finally, Indianapolis, home to the Finish Line headquarters. Along the way, they hosted sneaker donation drives at six Finish Line stores collecting nearly 600 pairs. 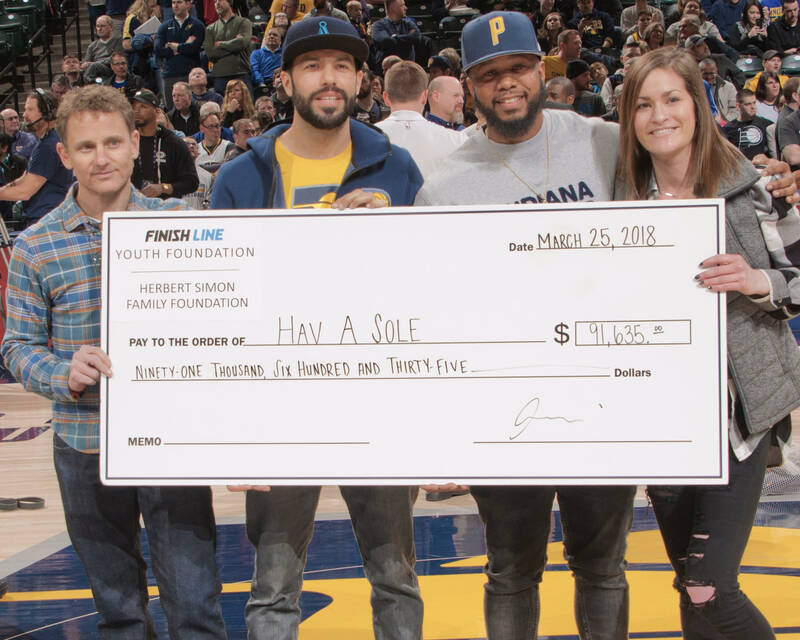 At the final destination, Hav A Sole teamed up with the Finish Line Youth Foundation, Herbert Simon Family Foundation, Pacers Sports and Entertainment to host a sneaker giveaway at Outreach Inc of Indianapolis. Outreach empowers homeless young men and women (14 to 24-years-old) with the goal for at-risk young people to achieve stability and life transformation. Watch Hav A Sole’s video below for the inside scoop of their entire road trip.